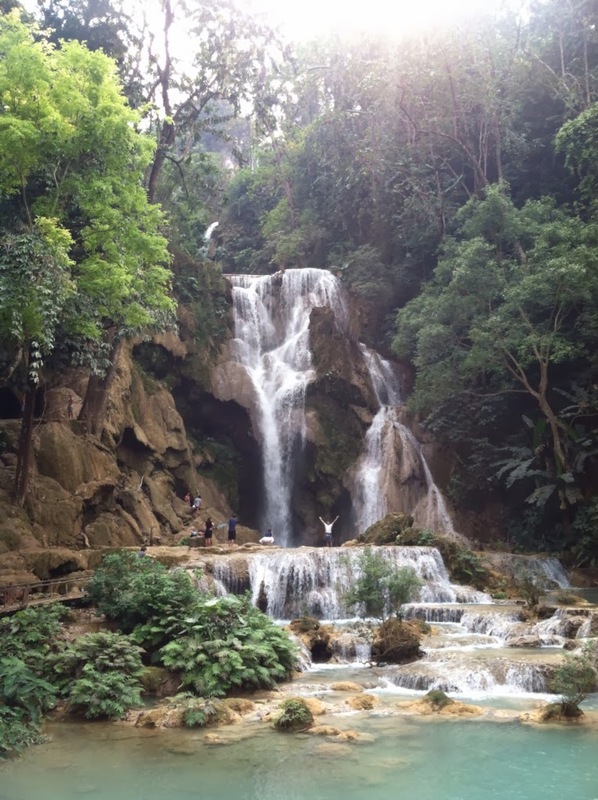 Since last year, I have heard from friends who traveled through Southeast Asia that Luang Prabang was their favorite place. 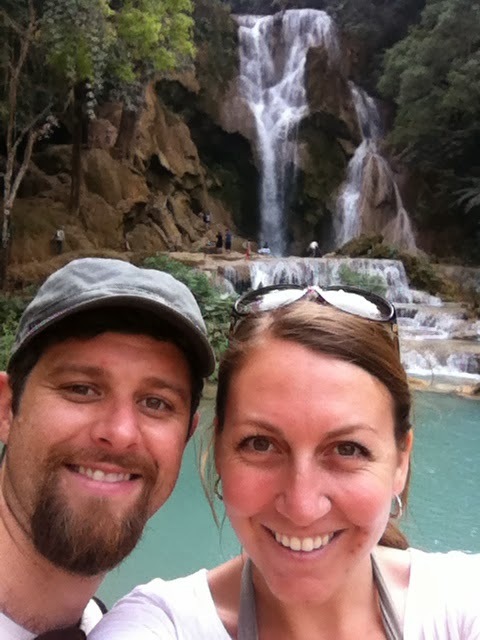 We did not think we would make it to Laos this trip. In order to meet up with friends, a priority for us after so long on the road, we have flown back and forth, up and around Southeast Asia, and making a trip to the northern tip of Laos seemed like another impossibly backwards excursion. But I could not let go of the idea that this was a place to see, and like Myanmar, will have a very different landscape in another ten years. Luang Prabang was everything I hoped it would be and a little bit more. After seven months of travel, we are a bit travel weary. At a certain point all of the temples begin to blend together. Like the cathedrals in Europe, the golden Buddhas in Asia have come with the kind of awe that eventually, sadly, inspires burn out. We had nothing booked when landed at the airport and were lucky enough to share a taxi with two Aussies. We basically asked to be dropped in the center of town, but after striking up a conversation with them, decided to check out the guesthouse the young woman had booked since she had done her research and seemed to be on a similar budget as us. We lucked out with this amazing little guest house, a bit far from the touristy area, but an unbeatable price - $10 a night for an impeccably clean guesthouse and a friendly owner. The only drawback was the rooster outside of our window. But the fan was powerful, the shower was hot, and the area was safe and a bit off the beaten path. 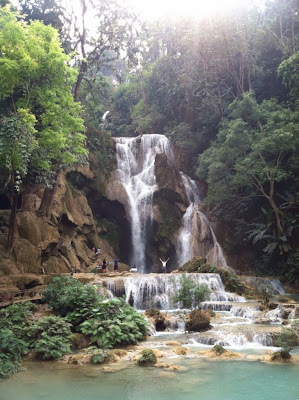 After tooling around town for a few days, complete with good food, long scenic walks past the Nam River and delicious food, we decided to rent a motobike and drive about 30 kilometers outside of town to check out the Kuang Si Waterfall. In took a a few kilometers for me to relax into the ride, but as soon as we got on the open road, I was a zen road master! (Okay maybe not a master, but I had a blast!) 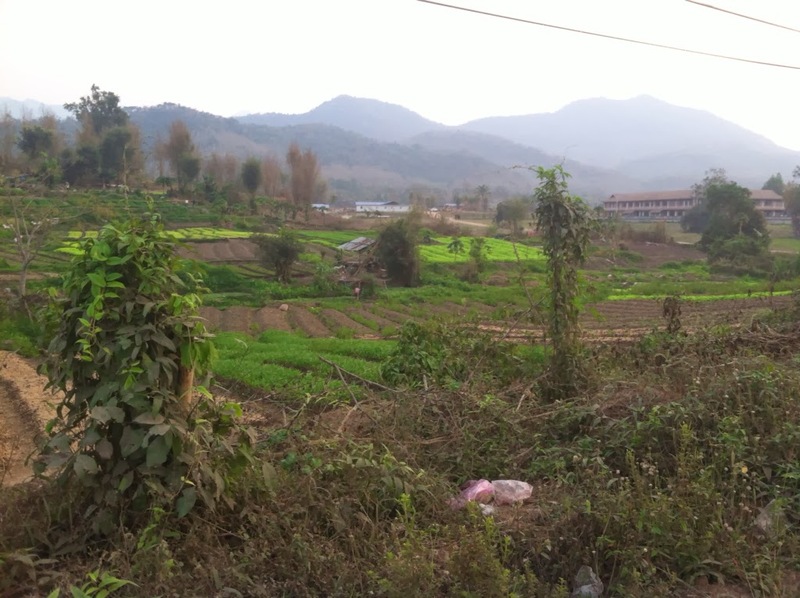 The trip to the waterfalls past rice patty fields and small villages gave us a glimpse of rural Laos life. There were games of soccer everywhere and gaggles of children always fully invested in whatever game of chase or tag they had most likely been playing for hours. 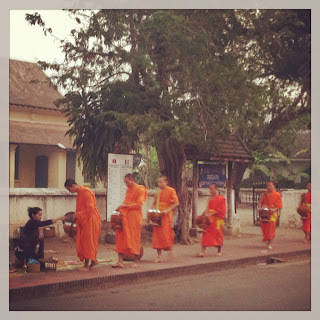 We finished our trip off with a sunrise walk along the main road to watch the Alms giving for the monks that line the street in their bright orange robes. Watching the monks receive donations of food and fruit from the local people has become a major attraction for the town. There are signs everywhere asking tourists to respect the "Ta Bat." And there is certainly good reason for the signs. Tourists often follow the monks and get uncomfortably close to snap pictures, which is unfortunate for the monks but also unfortunate for the tourists. One of the most serene and peaceful experiences I've had on this trip was sitting across the road on the wooden steps of some closed shop (too early to be open!) and watching this tradition take place in absolute silence. 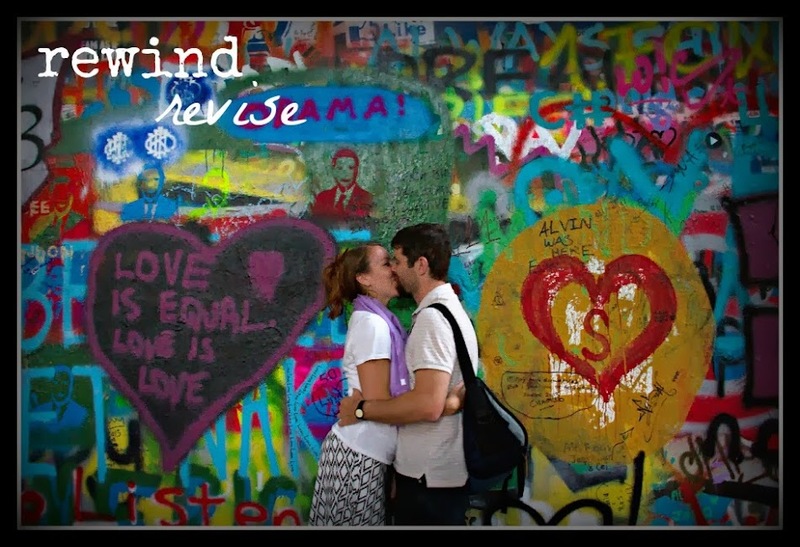 While some tourists are inappropriate, for the most part there is a collective reverence that the event demands. Afterwards, we had pan au chocolats and cappuccinos, a true delight. 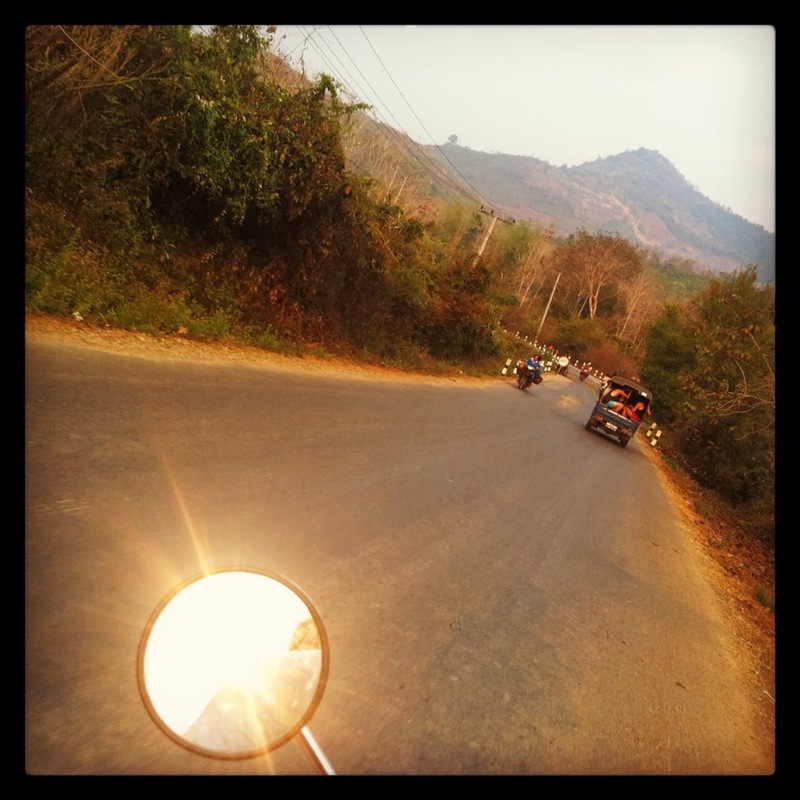 Laos gave us a kind of vacation from traveling. A much needed break from the constant moving, the sight seeing, the everyday stresses and just let us cut loose for a short week. Luang Prabang is definitely a place I would like to visit again and maybe next time, a motorbike trip through the country!